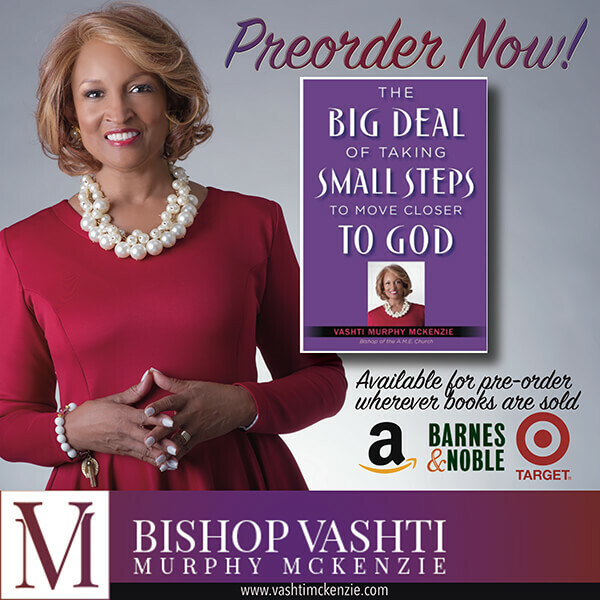 Bishop Vashti Murphy McKenzie shows that the commitment to moving closer to God doesn’t mean striving for perfection. It means building an enjoyable, meaningful relationship with God in incremental ways by employing biblical principles to the myriad experiences of life. Such small but meaningful steps, collectively evolve into intimacy with God, ability to address life challenges with aplomb, availability to serve those around us as well as church and community. Order Bishop McKenize's new book by clicking the links to any of the retailers below. For more books by Bishop Vashti McKenzie, visit Amazon or Barnes & Noble.